Go grocery shopping with help from none other than Disney's Minnie Mouse! 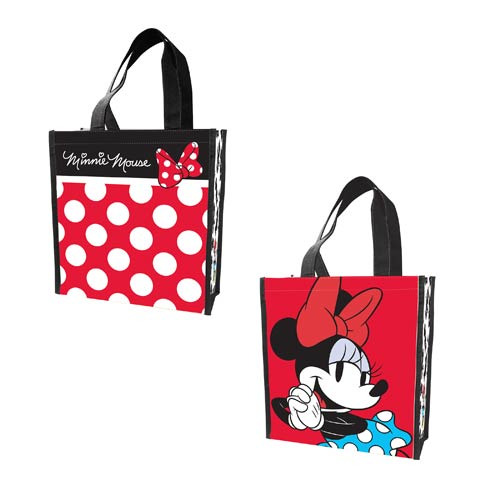 This Disney Minnie Mouse Small Recycled Shopper Tote displays a fun image of the cheerful Minnie Mouse on a red background along with her signature polka-dots! Small recycled shopper tote measures 12-inches tall x 10-inches wide x 4 1/2-inches long. Ages 13 and up. Made from polypropylene.